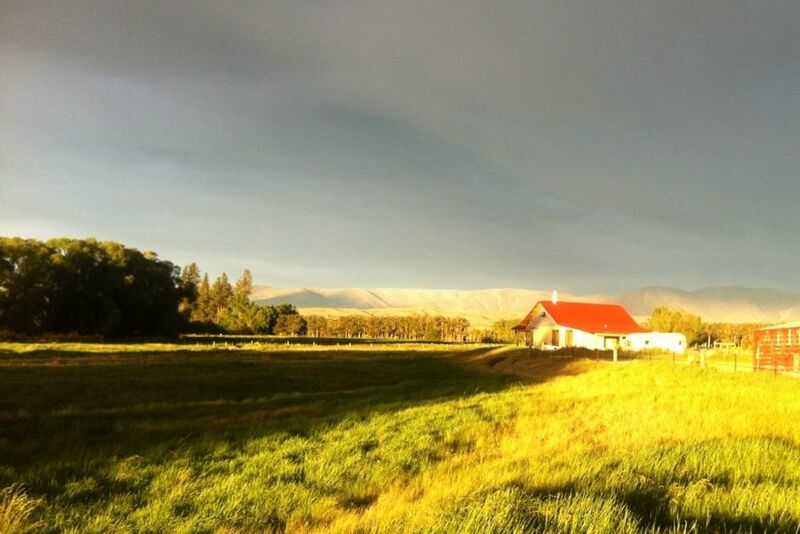 Central Otago is renowned for its landscapes, and where better to stay than in the Ida Valley, a valley bounded by Rough Ridge on one side, Blackstone Hill on the other and the Hawkduns and Mt Ida at the end of the road. Ridgelines of rocky tors, spectacular sunsets and riveting skies mean all you have to do is sit and look. If you’re a keen photographer there’s plenty here to entrance. No wonder Peter Jackson chose to film scenes for Lord of the Rings and The Hobbit here. The house, with its thick, straw walls, is peaceful and quiet, and every room has stunning views. Though the house still has some finishing work to do, it's a work of art in progress, you'll feel relaxed and revived staying here. Jillian built her home, along with son-in-law, builder Sam Deavoll, and she can talk with you about any process to do with the building. Walk to the village in a few minutes, across the paddock to the Ida Burn stream. A wonderful retreat in stunning countryside. A very relaxed home in a very relaxing environment. A very relaxed home in a very relaxing environment. The strawbale construction makes it very different and is both warm in the evenings and cool during the day. The location at Oturehua is quite central to many attractions - Naesby, St Bathans, Ranfurly, Ophir, Omakau, Hayes Engineering - historic place. The scenery is stunning. A modern example of traditional craft building. A modern example of traditional craft building. Oturehua is central to the Central Otago story, alongside the Rail Trail and in easy driving distance for numerous daily excursions. Rustic and still work to be completed but quiet and relaxing home. Rustic and still work to be completed but quiet and relaxing home. Well provisioned. Comfortable.